Willow & Wood wrapped up our 2017 performances by taking a little road trip up to Johnson City. It was so lovely to drive up to the hills and be treated to a little early Christmas snow. 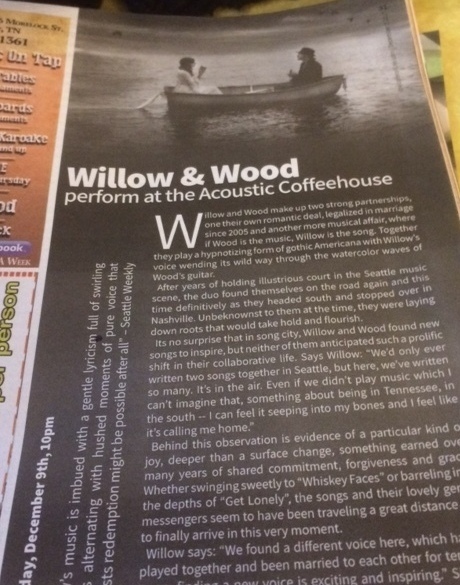 And what an equally lovely surprise to find ourselves in the local Loafer! Thanks for the press shoutout Loafer!